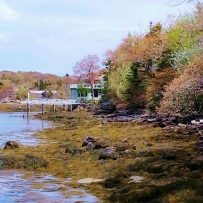 Seanook, vacation rental, East Boothbay, Maine, sequestered on Linekin Bay, yet only 3 miles from Boothbay Harbor. Year-round, 3 BR, 2 BA. Paradise Cottage after rain in spring. 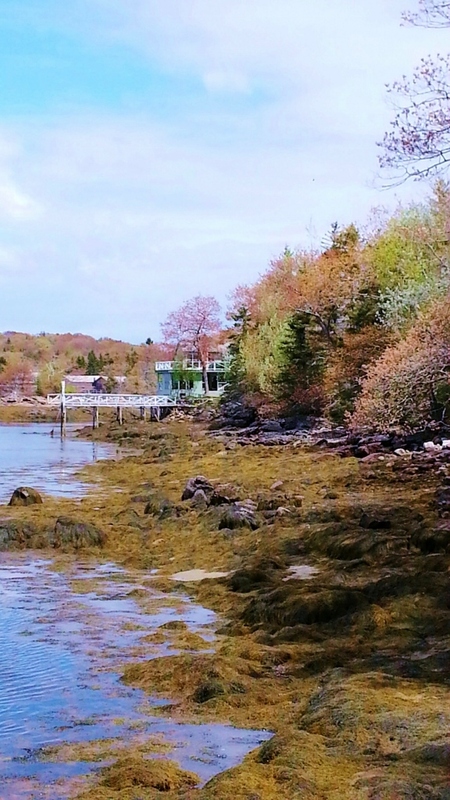 Maine perennial garden hideaway at the edge of woods and water. 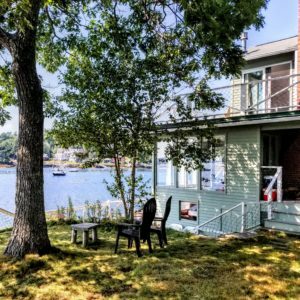 2BR, 2BA weekly vacation rental. 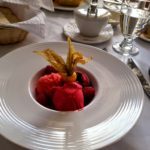 1 Summer Week Available July 20, 2019. Call now to make it yours! Seanook is built on its own rocky point sequestered on the shore of Linekin Bay. It is grandfathered so close to the ocean that the tide comes in under and around it. 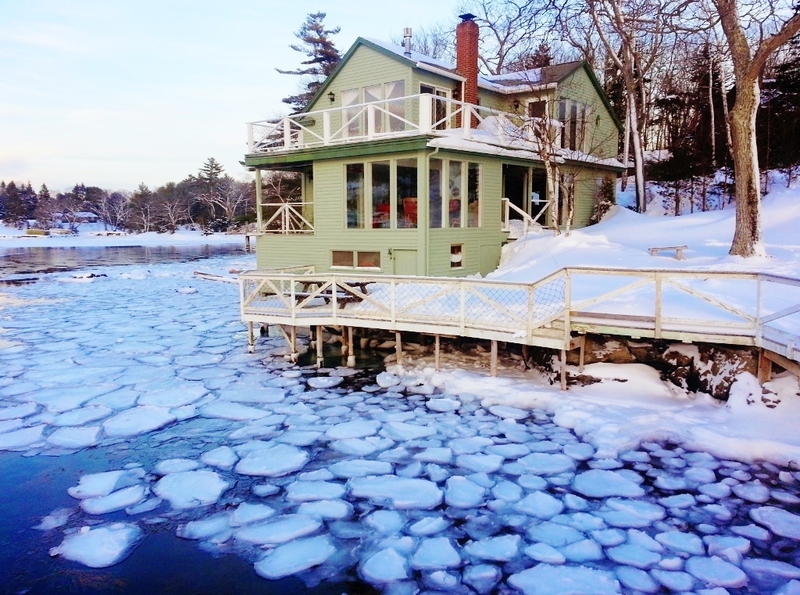 Enjoy this rare historic experience of staying over the water. Four decks + dock June - October. Seanook in summer as seen from across the bay. You can still reserve now for your Winter Special getaway. April has open times at both cottages. At Seanook, book two nights and get a third night free; $450 for 2 people, $550 for 4, or $650 for 6. Rent a week for $1250 and get two free nights. Stay for two consecutive weeks and get a 10% discount. SUMMER: Seanook has 1 week still available, the week starting July 20, plus the following end of summer cancellation. 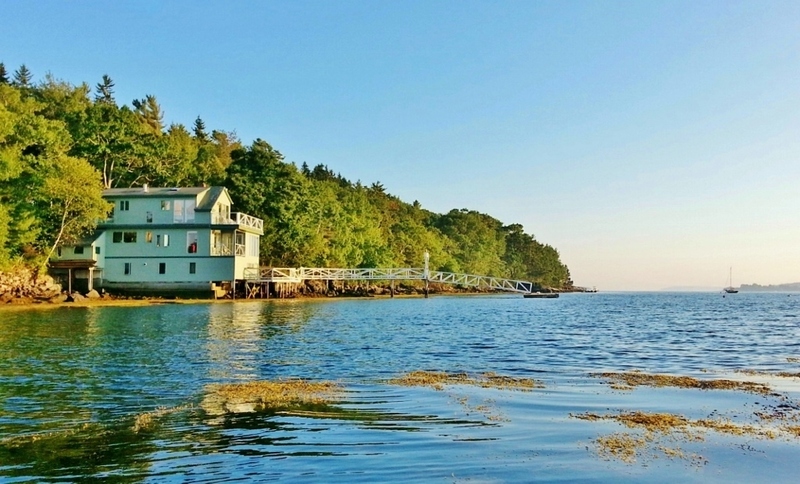 NEW CANCELLATION at Seanook, 11 nights in Shoulder Season (Rental price: $1,772) August 27 – September 6, 2019, with departure on Saturday, the 7th. Please see our Availability Calendar (drop-down menu under “Seanook” on the white bar above), then call (207-633-6093) or type in to email (paradisestudio@roadrunner.com). 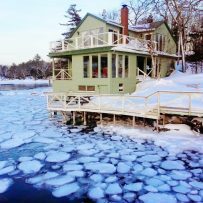 NEW CANCELLATION at Paradise Cottage: April 10 – May 24, 2019 at Winter Special rates, three nights for $410 for 2 people, $495 for 4. 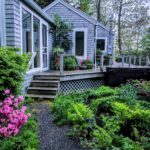 SUMMER: Book Paradise Cottage by the week, June 22 – 28, for one week, Saturday to Saturday, or July 20, 27, or August 10, 2019 for one or more weeks. 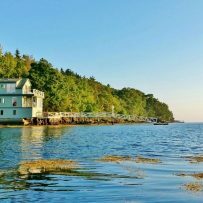 In summer enjoy water access from the shore across the street, and make use of our sit-on-top kayaks to explore the bay, or relax at the picnic table by the water shared only by the guests at our three properties. 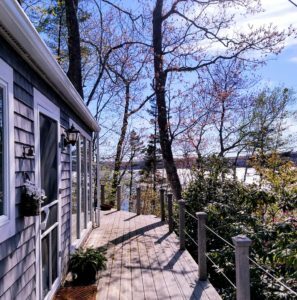 The eating area on the deck at the SW end of the cottage affords the intimacy of woods privacy yet a pleasant view over Linekin Bay and cool ocean air. 2 BR, 2 Bath. Each bedroom has a door to the deck.